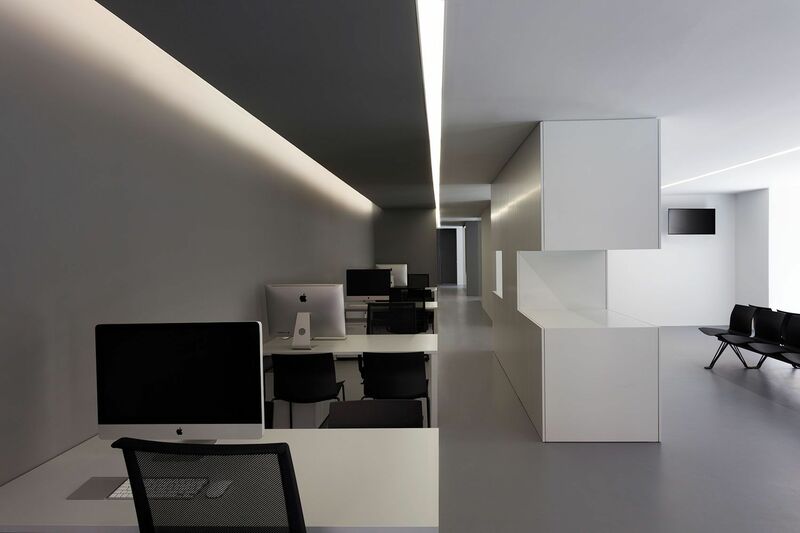 A glance over this place shows us a C-shaped space, which fits the proposed program. 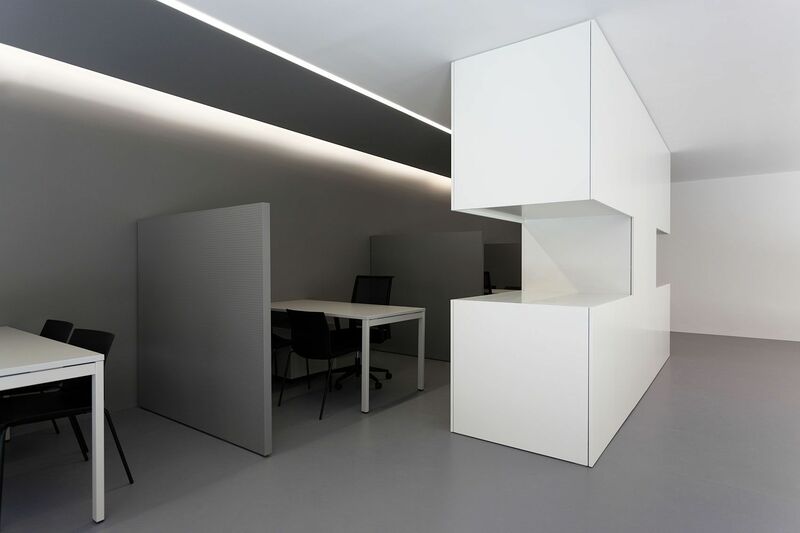 It is a small office dedicated to customer service. 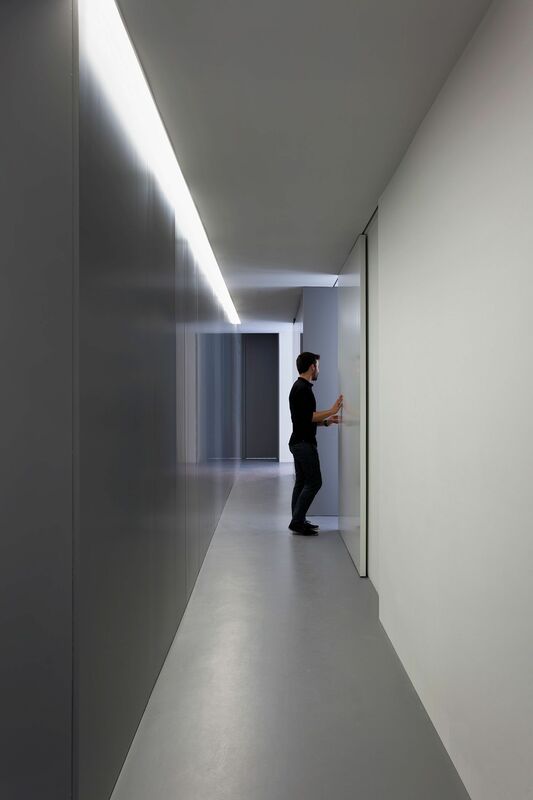 The rectangular floor plan, to which the communication core of the residential building in which it is located is subtracted, distributes the space in a large corridor attached to the dividing wall and two rooms. 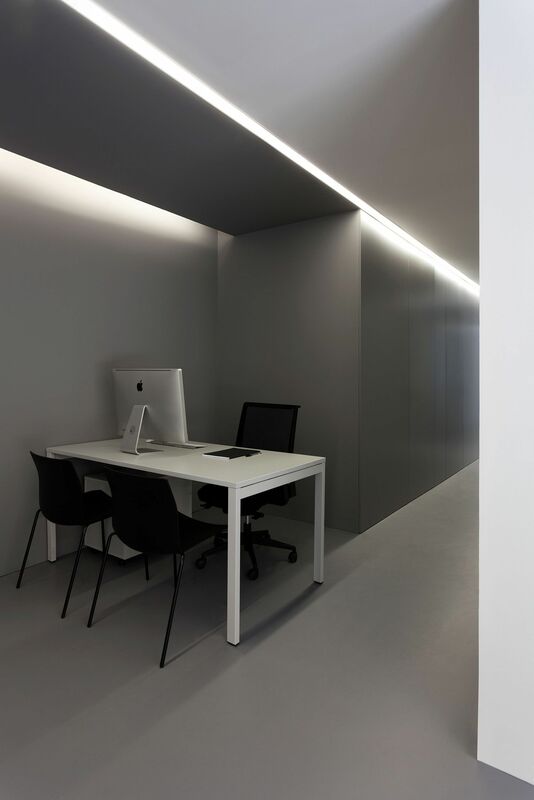 We decided thus to “work up against the wall” in this way the work stations and service areas are attached to the longitudinal dimension of the premises while the waiting area and the meeting room are located in the two resulting rooms. 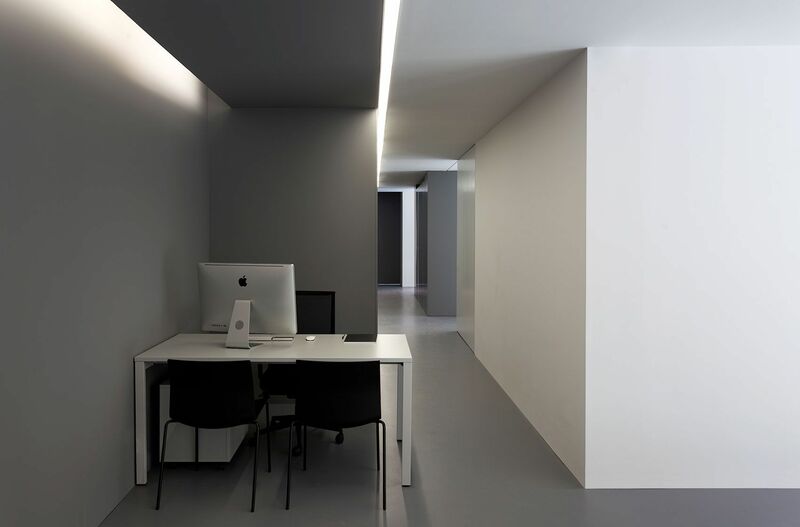 To delimit the working area, the gray materiality of the pavement is used. 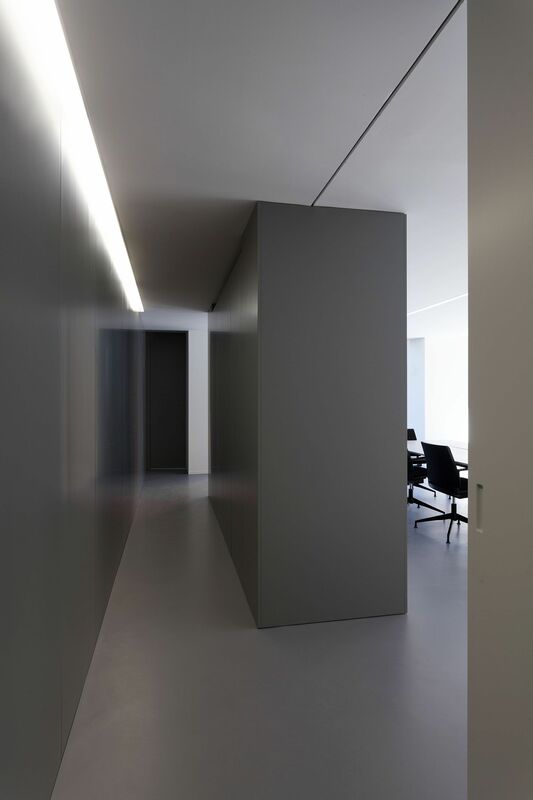 A resource is thus used that gives the roof the quality of being a kind of signage that defines the uses. 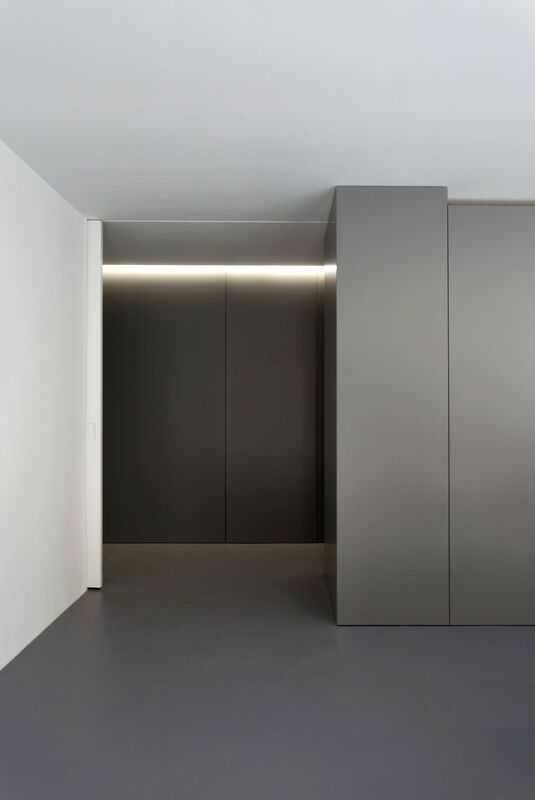 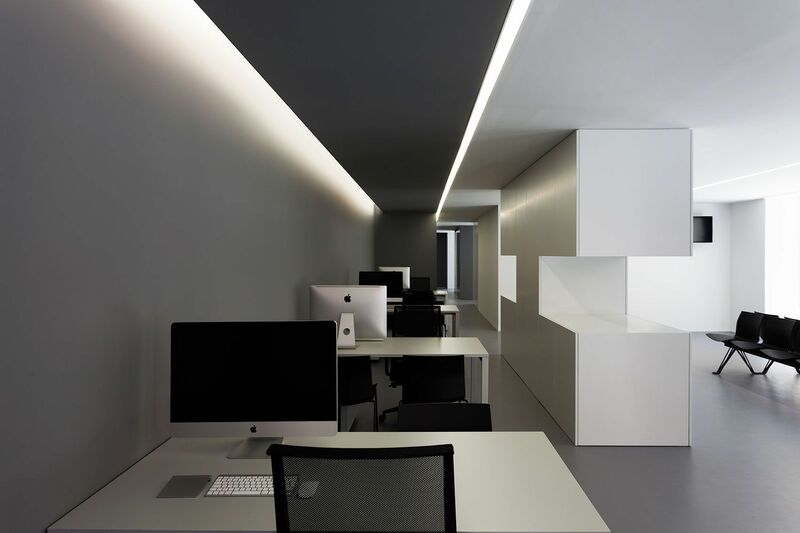 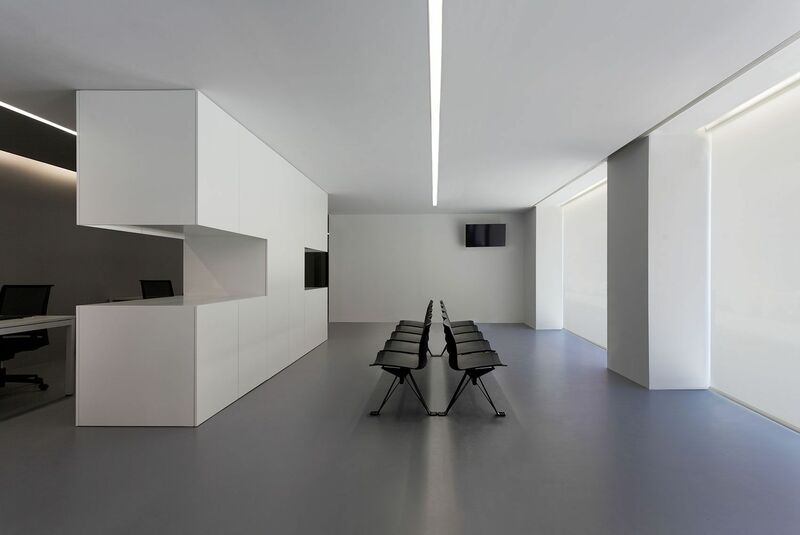 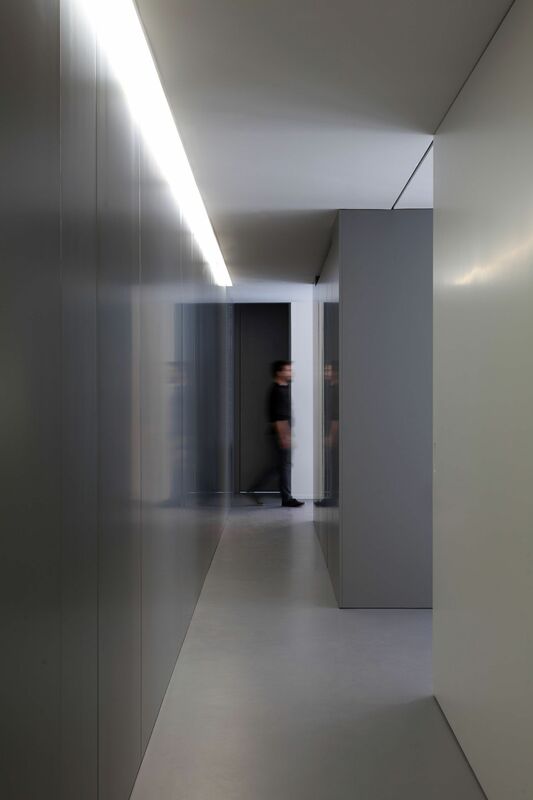 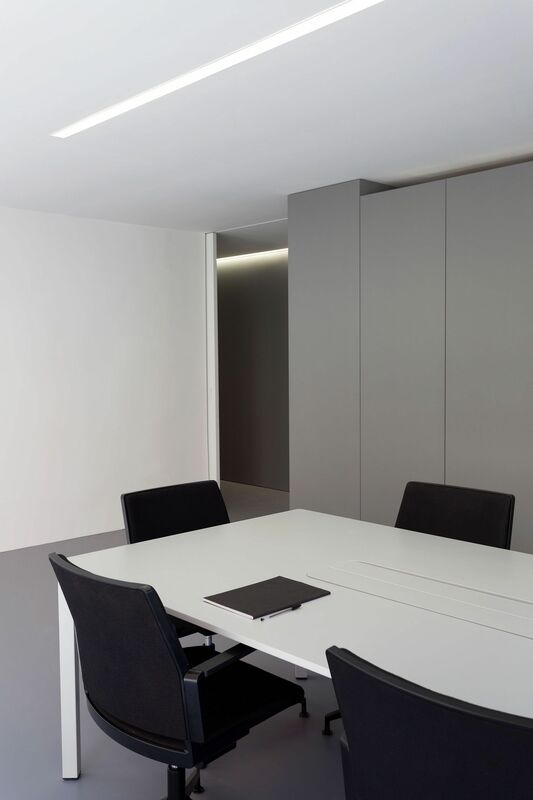 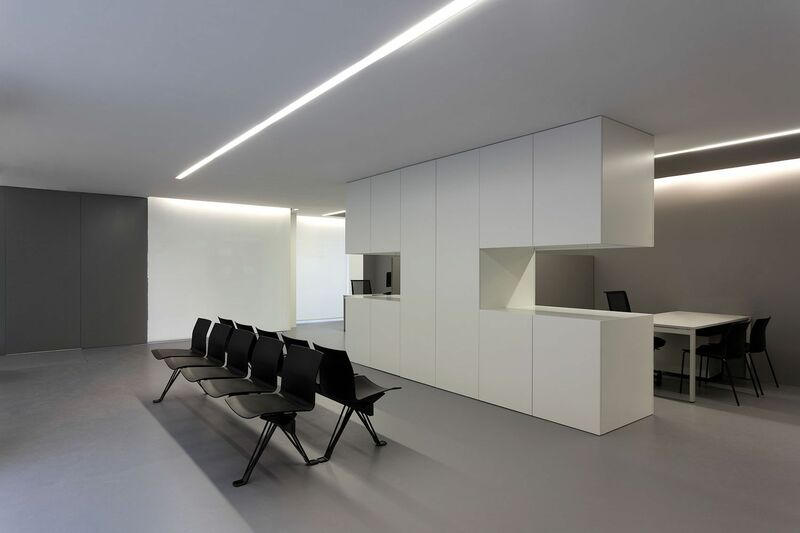 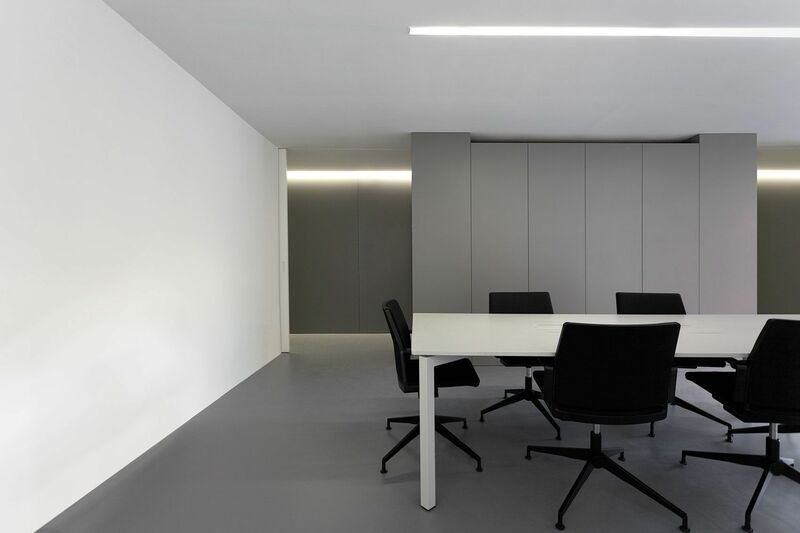 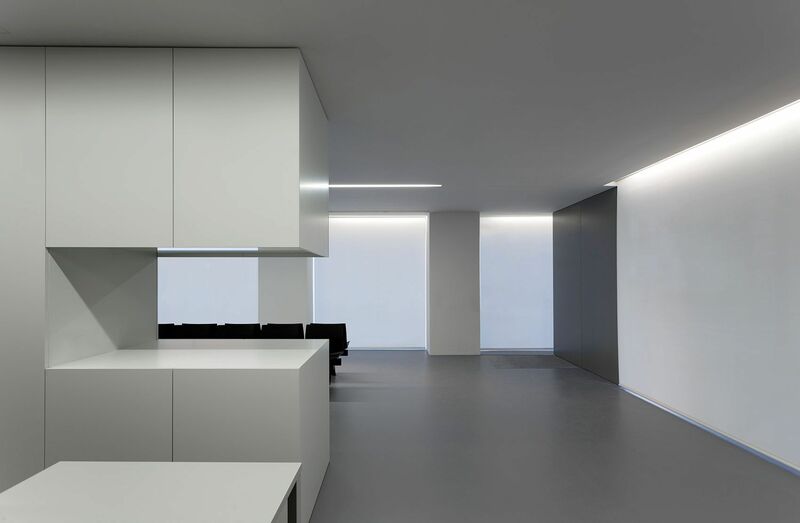 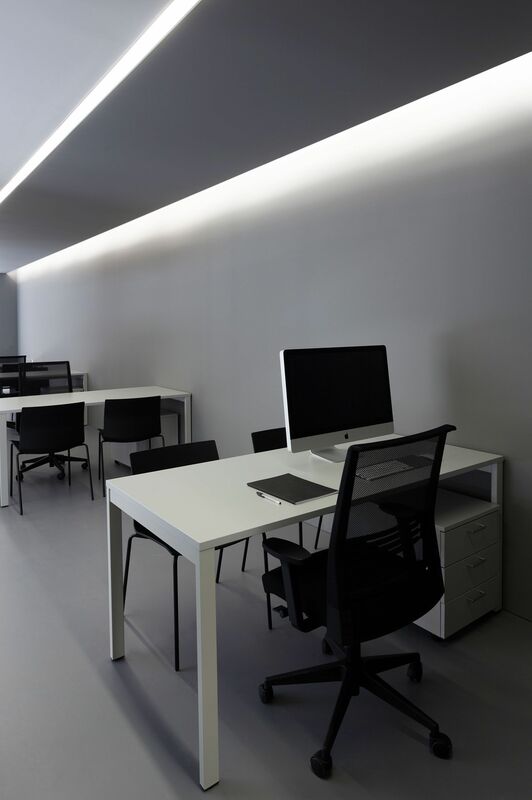 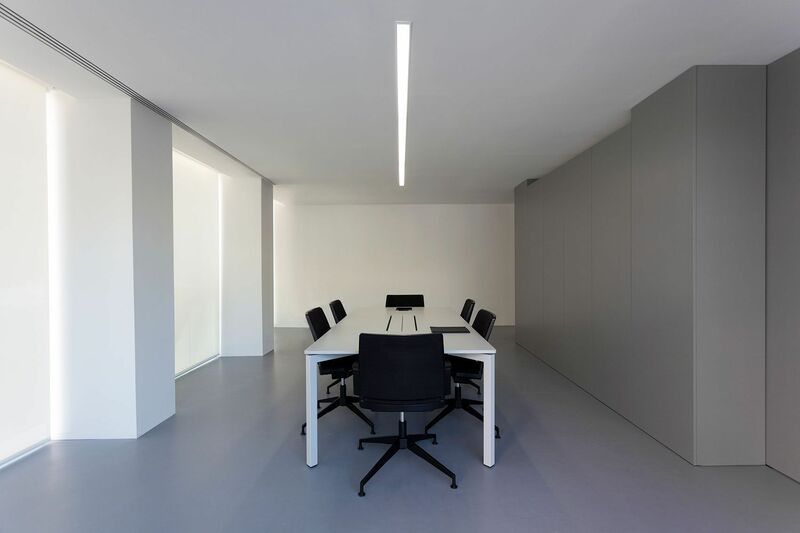 Indirect lighting located on the roof reinforces this idea and allows to have luminaires with the maximum possible dimension inside the premises, which give service to the workstations and house the air conditioning. 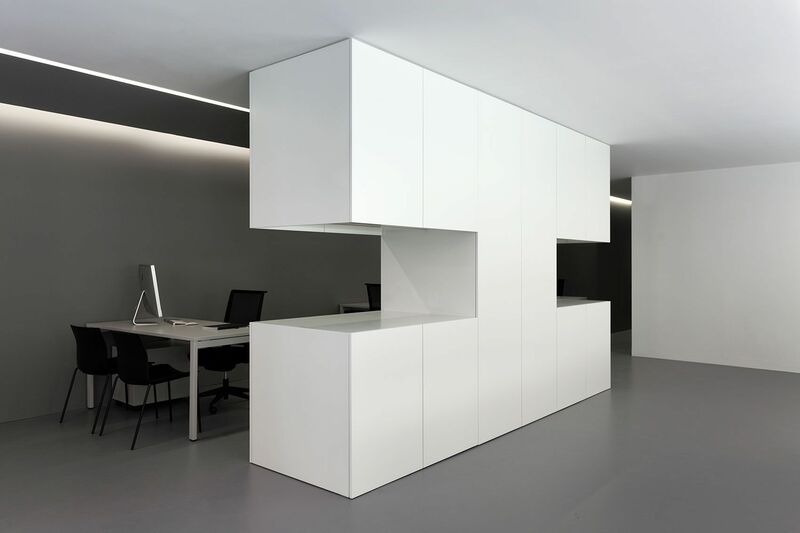 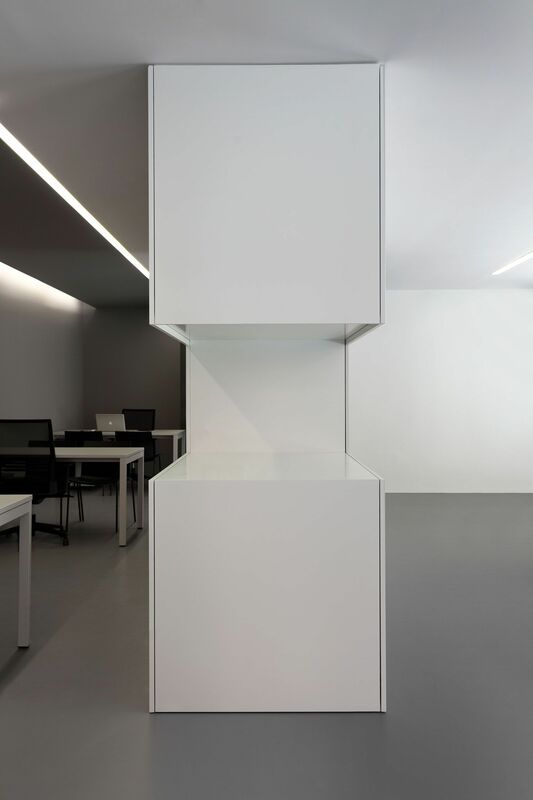 The structure of the existing building disappears inside the furniture that delimits the spaces. 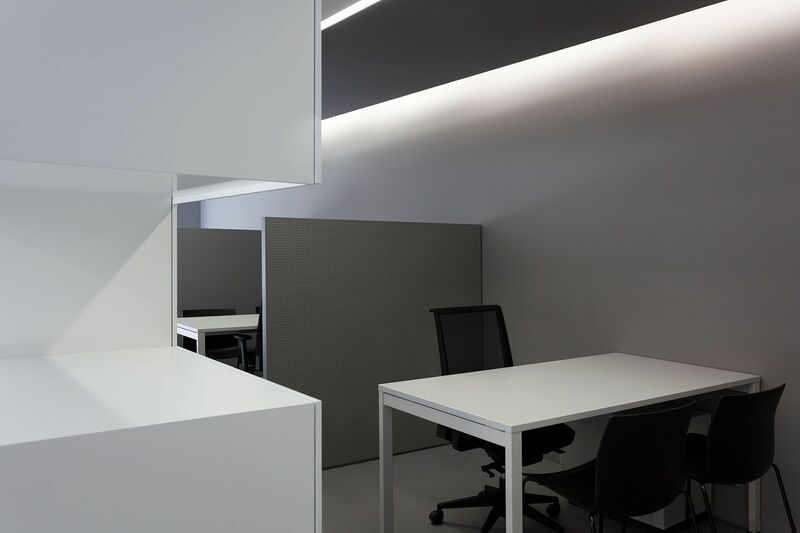 These strategies of ordering the space, integrating facilities and structure, and using materiality to emphasize the distribution may confer this office the necessary tranquility.